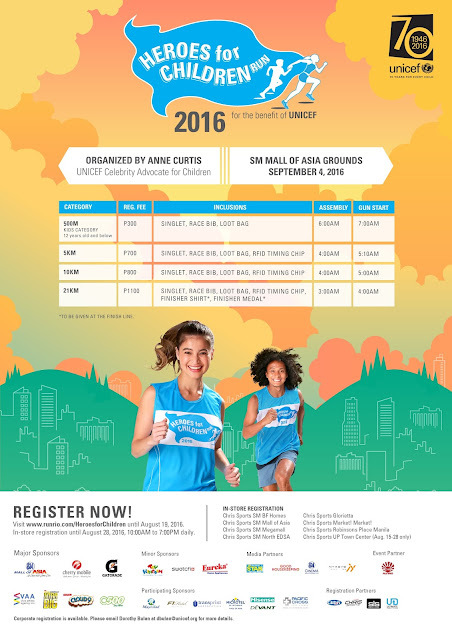 This coming September 4, 2016, the UNICEF Celebrity Advocate for Children Anne Curtis will run for the Heroes for Children Run to mark UNICEF’s 70th Anniversary at the SM Mall of Asia grounds. The First 1,000 Days programme focuses on prenatal and early childhood interventions to prevent undernutrition, including quality care for mothers, proper nutrition, and complementary feeding, and life-saving treatment for severe acute malnutrition. The effect of good health and nutrition lasts well into adulthood and is the key ingredient in breaking the cycle of poverty. To all fans of Anne Curtis who want to support but cannot physically run or be present on race day may donate on her personal SimplyGiving fundraising page at www.simplygiving.com/event/HeroesforChildrenRun2016. Ms. Curtis was appointed as UNICEF Celebrity Advocate in November 2014. Online registration is ongoing at www.runrio.com/HeroesforChildren until 19 August 2016. In-store registration is ongoing until 28 August 2016 at the following Chris Sports outlets: SM Mall of Asia, SM Megamall, SM City North Edsa, SM City BF Homes, Glorietta, Market! Market!, Robinsons Place Manila, and UP Town Center (from August 15 to 28). The run is one of many activities slated in 2016 as UNICEF commemorates its 70th year helping to build a better world for every child. 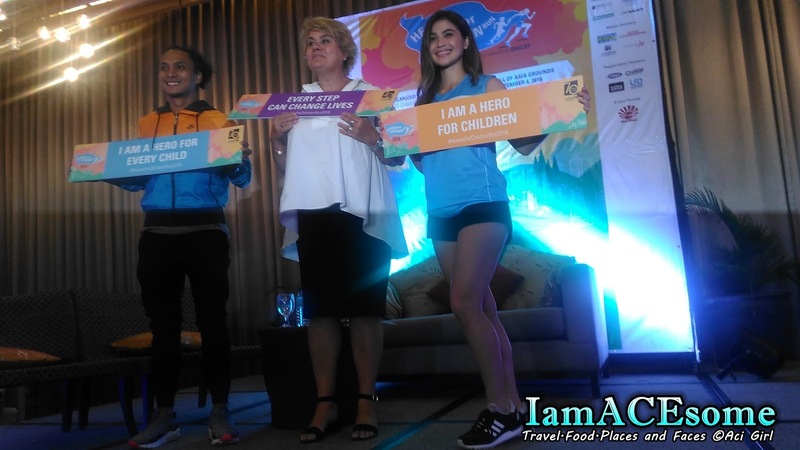 The Heroes for Children Run 2016 is organized by Anne Curtis and co-presented by RunRio through the support of SM Mall of Asia, Cherry Mobile, Gatorade, Viva Artists Agency Incorporated, Toy Kingdom, Swatch, Eureka Home Appliances, Maynilad, Philippine Star, Good Housekeeping, Female Network, SM Cinemas, Nyxsys Philippines, Chris Sports, F1 Hotel and Resorts, Transprint Corporation, Microtel by Wyndham, Hisense/Devant, and Pacific Cross Insurance. 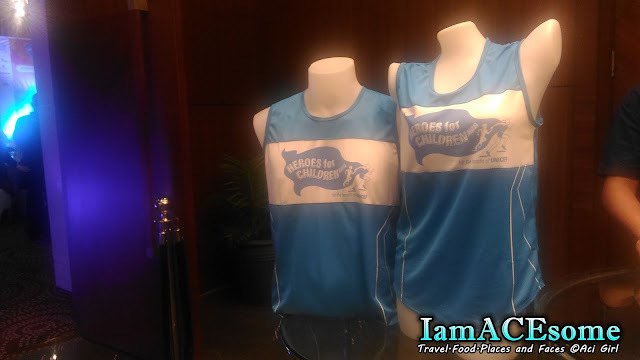 Article and photos were taken by Aci Girl, IamACEsome’s official representative to the launched of Heroes for Children Run 2016 held at the Infinity Ballroom of F1 Hotel, 32nd Street, Bonifacio Global City, Taguig.